In an age of rapidly evolving technology, businesses now have the ability to effectively track customer behaviour and the way that they engage with products and services. Marketing teams can access unprecedented levels of data detailing the interaction customers are having with their products and services, and analyse their overall journey with the brand. At the same time, there is a growing demand for companies to be transparent in their activities (due to regulation, disruptive propositions/products, or just an ethical value proposition), and an increased amount of scrutiny is being placed on marketing approaches and programmes. As a result of both the proliferation of data lead marketing and increased accountability, the demand for skilled customer experience (CX) specialists is at an all-time high. 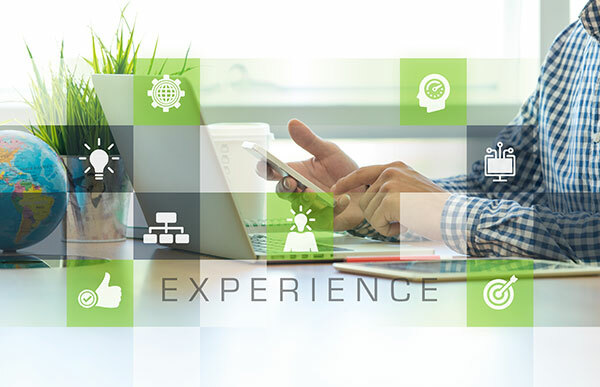 Customer experience is a broad term that means different things to different businesses but typically encompasses the experience an individual has when interacting with a brand or an organisation. It includes a deep exploration of customers’ needs and testing of ideas to inform the design of the ideal journey. This involves improving the stages before customers use a product or service, for example looking at ways to improve a pre-flight experience, down to the experience they have when browsing and purchasing products or services, interactions with staff throughout the entire process and the quality of the service or product. It also looks at the stages after the service or product has been delivered to design an experience that will help them beyond the point of purchase. The more useful, relevant and positive their experience is, the more likely a customer will value your brand, re-use it and tell people about it. Customer-centricity is increasingly being identified as a key component of profitability, and as such the need for companies to invest in this area has been on the rise. Skill sets that aid frictionless customer journeys and encourage long-term thinking are becoming key differentiators for marketing professionals in the job market. These skills can range from CRM and UX to product management and call centre experience development. Marketing departments, when planning and running campaigns, are becoming more data driven which is often geared significantly towards what customers want, how they like to interact with brands and how their experience can be improved. So what if CX isn’t at the top of your, or your business’s agenda? Well, you’re not alone. Many companies, according to data gathered by Calabrio, aren’t even sure who should ultimately be responsible for managing customer experience. Others admit that their current customer experience is below the standards they would expect although marketing leaders are still being increasingly targeted on the standards of the experience they deliver. In light of this, research from the 2016 UK Customer Experience Excellence Report by KPMG Nunwood, found that businesses who focus on selling rather than the influence of marketing will time and time again fall down through mismanagement of their customer journey. Placing customer experience at the heart of an organisation’s strategic planning links to Simon Sinek’s well-known Golden Circle model, “Start with Why”, in which the ‘How’ and the ‘What’ come afterwards. All changes, new products and messaging should keep the emotional appeal of why a customer will interact with the company and their services/products at the centre of all activities. When people can identify with something on an emotional level, they are more likely to become a customer, engage with the user journey and, if satisfied, ultimately stay loyal, repeat clients - as long as the company maintains its customer values. The case for the commercial value to a business is reflected by the growing number of businesses now seeking Chief Customer Officers (CCO) to join their team and giving them somewhat separate, although an interlinking remit to Chief Marketing Officers (CMO). Whether or not this trend continues and for how long, will remain to be seen. However, it is clear that for both marketing leaders and those who are still on the upward curve of their careers, this is an area that needs to be actioned upon quickly. Marketing teams are in a strong position to demonstrate how effective customer experience management leads to loyal, return customers, and as a result, steers the sales and profits of the business. This can be achieved by simply removing sales as the main goal and shifting the focus back to servicing customers– it’s the experience and smoothness of the journey that people pay for. We have dedicated marketing specialists for all industries right across the UK, so if you are looking to increase the number of CX skilled professionals in your business, please get in touch to see how we can help provide the talent you need.